A number of years ago, Peter Zumthor presented a memorable lecture in Melbourne. Among the projects he discussed was the Bruder Klaus Chapel, as yet unbuilt, a chapel he was designing for a small community in Mechernich, Germany. 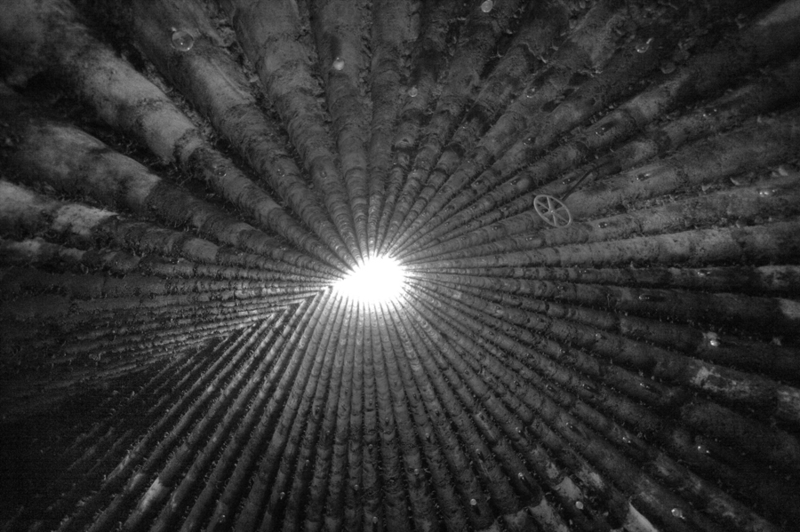 Zumthor explained that the community was to fell a number of trees from the adjacent forest, strip them and stack them like a teepee. The trunks would be encased in concrete then burned out, leaving the extraordinary marks visible above. This, we would be the first to agree, is slow architecture. 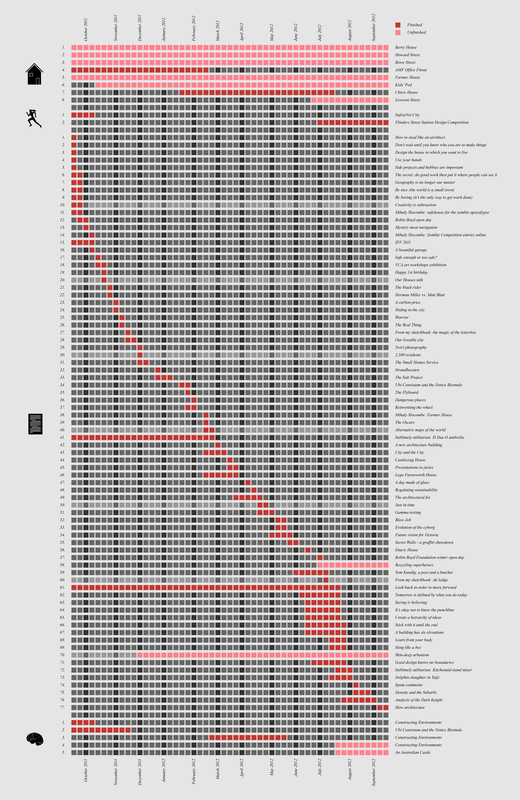 But then again, the term is a tautology surely: of all the arts, architecture is the slowest. The painter may work on a canvas for a few weeks, the sculptor on an installation for a few months, but the architect will spend years on even a small building. The architect must therefore possess considerable patience, particularly when his project dawdles in pre-design, languishes in town planning or tarries in documentation. He must learn to hold the image of his future project in mind so it can drive him through every last drawing, schedule and instruction. Architecture is a long game, a prolonged and dedicated commitment to the future whose everyday appearance often resembles any other desk-bound profession. Though each built work provides deep and lasting fulfilment, even the most stoic of architects itches for more immediate creative reward. Thus, as principle architects of our own practice, we exploit the flexibility to actively seek out such reward: we write articles for this blog, we teach at the University of Melbourne, we enter design competitions. First and foremost, these activities establish a meaningful synergy with our practice of architecture, each inspiring and receiving inspiration from the others. But they are also fast – a design studio lasts months, a design competition weeks, a blog entry days. Such rapid turnarounds provide quick sustenance to interrupt our otherwise leisurely cycle. So with what sort of frequency do our various interests occur? What do the last 12 months of our lives look like in terms of projects, competitions, articles and studios? Nice article Warwick. I think you are very right that one needs to draw intellectural and creative sustenance from the things between the big outcomes. So in a long run we value the 5km, 10km and 15km points as part of the process to cross the 21km finish line. In art, I definitely like the fact that quite intangible things have legitimate value and can be considered parts of the overall production. So materials and standing at the canvas actually painting are one thing, but conversations, attendance of talks and exhibitions, reading, anything to feed the soul and mind, all these things feed into the production of work. PS. Your table certainly works as a piece of art in itself.